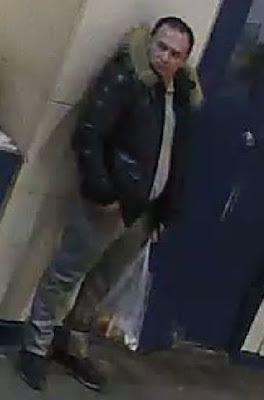 The Toronto Police Service is requesting the public’s assistance in a theft investigation. - the man and woman then fled in an unknown direction. The woman is described as 35-45, brown hair, wearing a black jacket or vest, black shirt or sweater with a white stripe across the chest, pants with a white stripe on the legs, and black boots or shoes.